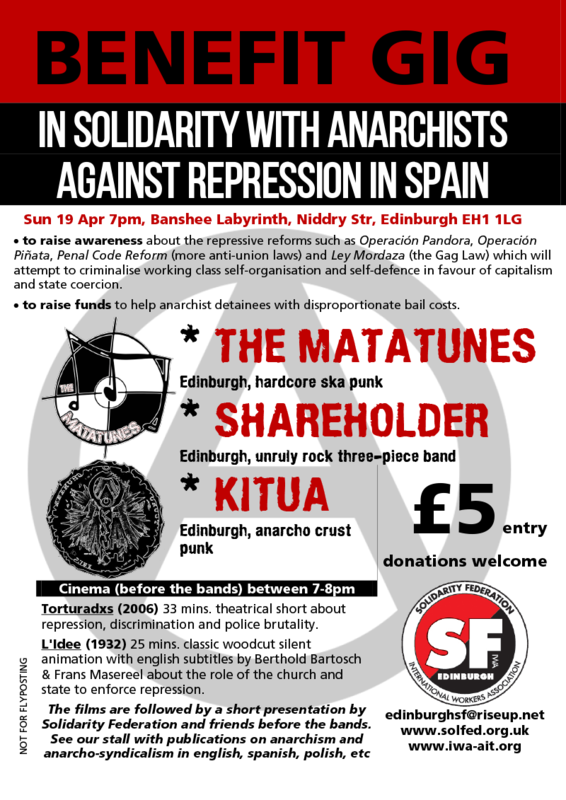 • to raise awareness about the repressive reforms such as Operación Pandora, Operación Piñata, Penal Code Reform (more anti-union laws) and Ley Mordaza (the Gag Law) which will attempt to criminalise working class self-organisation and self-defence in favour of capitalism and state coercion. 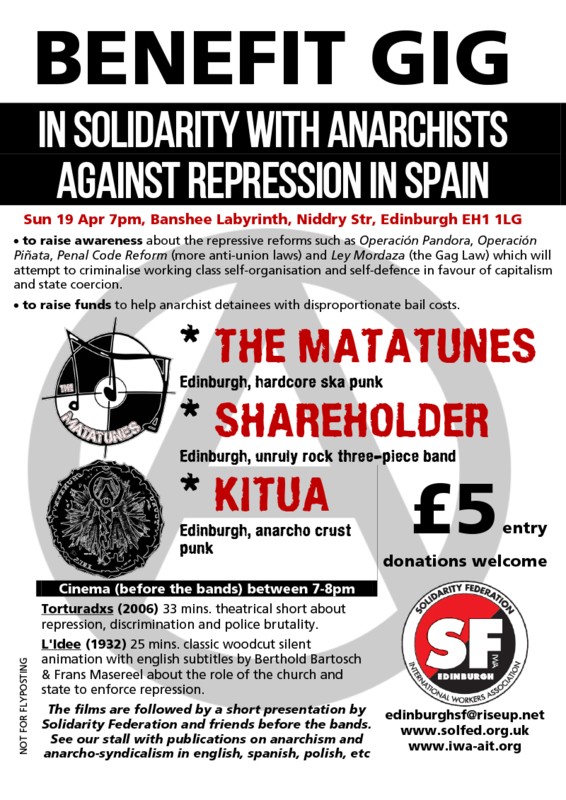 • to raise funds to help anarchist detainees with disproportionate bail costs. (2006) 33 mins. theatrical short about repression, discrimination and police brutality.